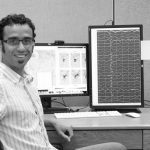 My research is focused on understanding geodynamic and tectonic processes through the use of geophysical (mainly seismological) imaging techniques. More precisely I study the processes that modify the continental lithosphere and spur orogenesis and basin formation, with an emphasis on the role of subduction. In my research, I’ve used a variety of methods on a range of scales, from crustal active source tomography to upper mantle teleseismic tomography. In addition to data analysis and interpretation I’ve worked on algorithm development both for seismic tomography and gravity modeling and I’m interested in combining seismic measurements into joint inversions in thoughtful and meaningful ways. Ongoing projects include imaging of attenuation structure in orogenic zones, studying the relationship between seismic attenuation and lithospheric strength, and exploring how the assumption of isotropy affects seismic imaging of anisotropic mantle structure. In addition to imaging seismology, I’m interested in earthquake source processes, particularly deep seismicity. My work in this regard is focused on careful analysis of seismograms from densely recorded deep-focus events to extract the kinematics of rupture for the event.